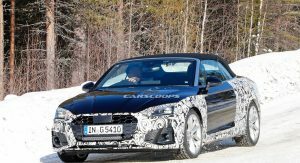 Following the first sighting of the facelifted Audi A5 Sportback last month, we now get to take a look at the fancier A5 Cabriolet. 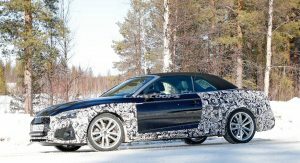 As with the entire A4 family, the A5 lineup will also receive a mid-cycle facelift that will see exterior styling updates, Audi’s latest infotainment system, and some engine upgrades. 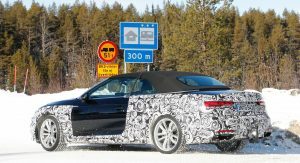 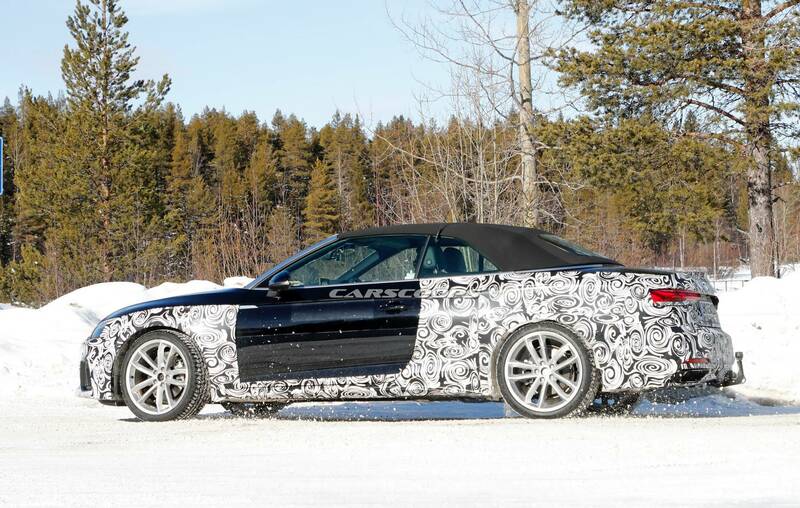 This right-hand-drive A5 Cabriolet prototype spotted during cold weather testing in Scandinavia doesn’t quite manage to surprise us with anything out of the ordinary. 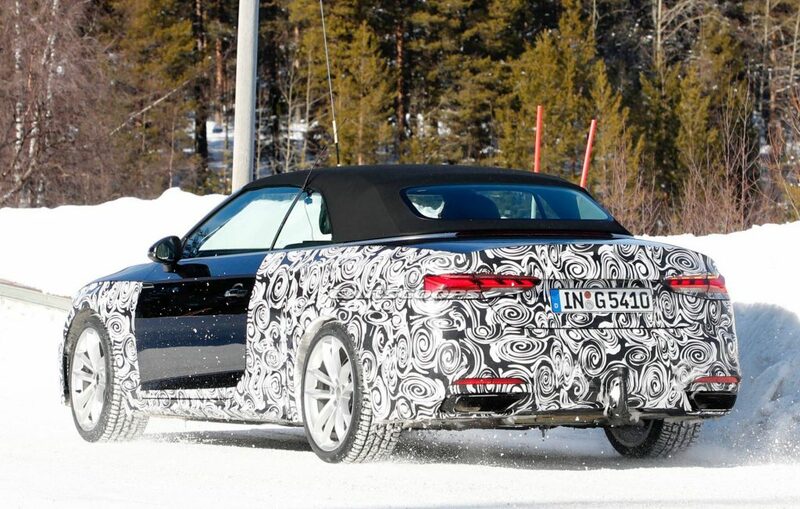 That’s because it features the same styling changes as its five-door sibling. 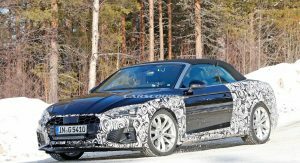 At the front, the 4 Series Convertible rival gets a reshaped grille with a 3-D look and honeycomb inserts, new full-LED headlights, as well as a refreshed bumper with repositioned fog lights and different surrounding trim. 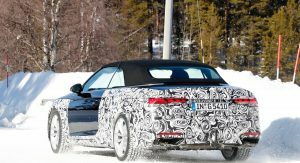 At the rear, the LED taillamps gain a new light signature that places the A5 Cabriolet in line with some of the brand’s latest models such as the A6 and A7 Sportback. 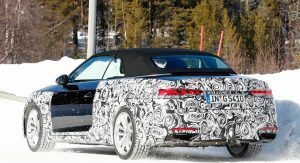 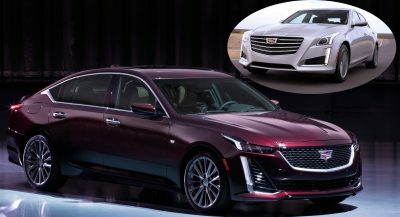 The rear bumper also gets redesigned and now features flat tailpipe trims instead of the current model’s round exhausts. 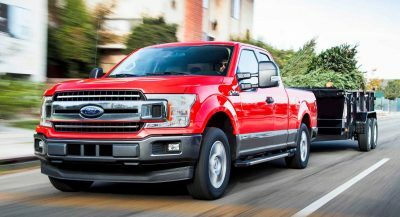 The only visible changes from the side are the sharper creases on the door sills. 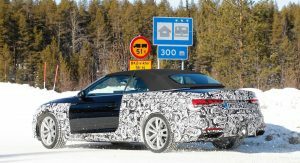 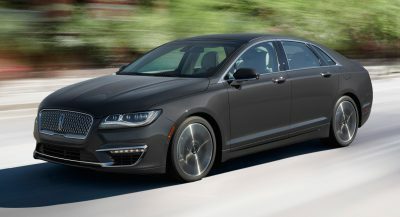 Our photographers weren’t able to take interior shots but previous reports claim the 2020 A5 will get an updated infotainment system similar to the one found in the new A6 and A7 Sportback, improved materials, and possibly new connectivity and safety tech. 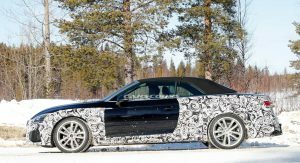 Some powertrain updates are to be expected as well, although nothing has been confirmed so far. 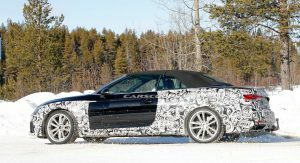 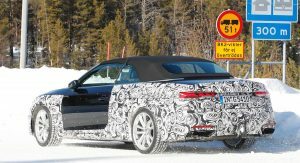 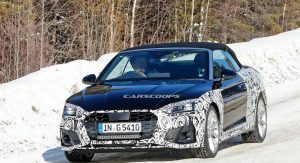 Normally, the facelifted Audi A5 Cabriolet should debut after the updated A4, likely in late 2019-early 2020.